Type: EQUIPMENT. Detail: PLASTIC BOARD. Product Code: PCB4BR. 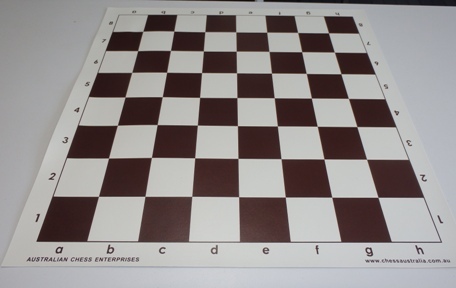 The school or tournament sized board measures 51 cm by 51 cm (20 inches by 20 inches) with 57cm squares (2.1/4 inch) and is made of vinyl plastic designed to withstand wear and tear. Algebraic notation surrounds the entire board and is clearly legible from all sides. 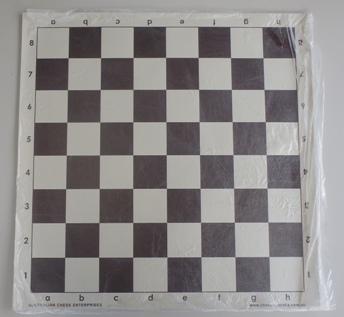 Easy to clean with a damp cloth, this board can roll up and unroll easily for convenient storage.